Kia engineers have developed a power pack featuring 192 lithium-ion polymer battery cells in eight modules, delivering a total battery capacity of 27 kWh. The pack incorporates state-of-the-art thermal control technology to maintain individual cells at optimum temperature and structural design to enhance crash worthiness. The advantages of a lithium-ion polymer battery – over normal lithium-ion batteries – include: greater efficiency due to the simple cell structure (fewer parts), lower costs, increased safety and reliability (thanks to better thermal diffusion and internal pressure control), ease of manufacture in a variety of capacities and shapes. Nickel-rich NCM (nickel-cobalt-manganese) cathode material is used in the mass production of the battery cells for Soul EV. Energy density, which is dependent on cathode capabilities, is a core performance factor deciding EV driving range. 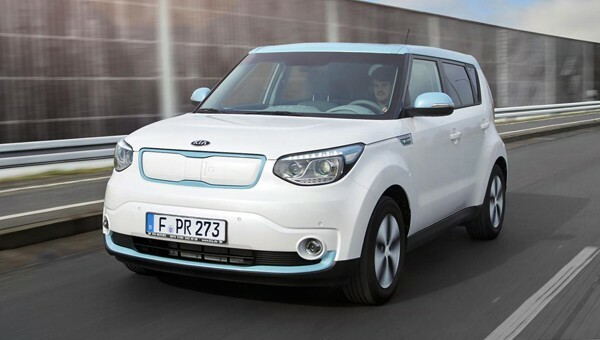 By exploiting the class-leading energy density of its battery, the Kia Soul EV will have an official test driving range of around 200 km (124 miles) on a single charge. In addition, a special secure separator is used in the Kia Soul EV’s battery cells. The separator determines the safety and the charge/discharge speed of the battery. It has improved thermal resistance, which helps to keep the cell secure from exposure to heat or fire by preventing the shrinking of the separator if the temperature of the cell increases beyond normal levels. Together, the low electrical resistance battery cell, proper battery system thermal control and accurate state-of-charge calculation improve the charging performance, thereby enabling a rapid charge time of 25 minutes (100 kW DC) or 33 minutes (50 kW DC). A fast charge takes up to five hours (6.6 kW AC).